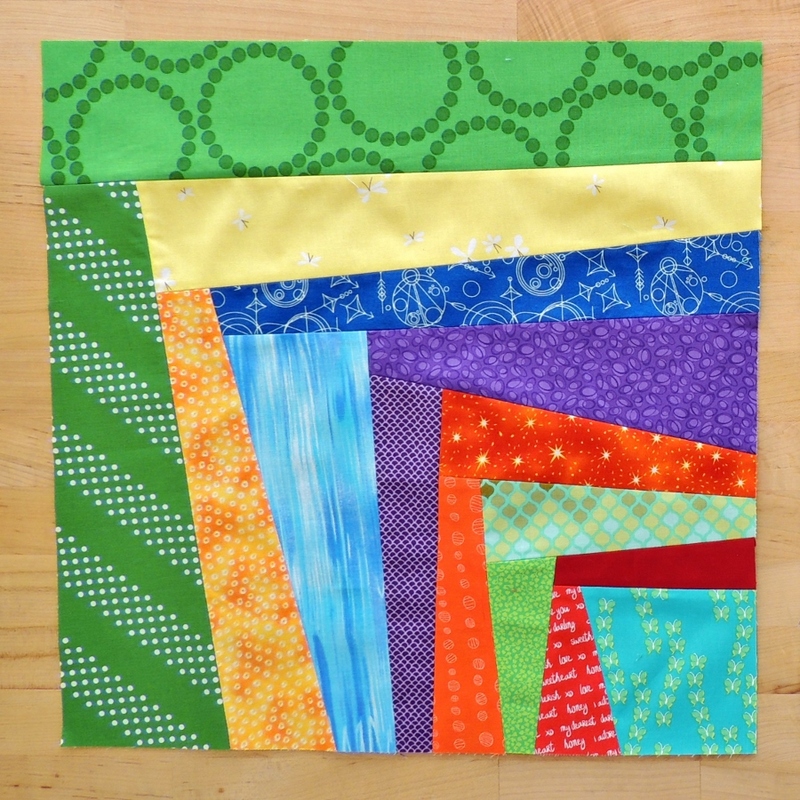 My Hive 9 Stash Bee Queen for March requested bright and colorful wonky quarter log cabin blocks (click link for tutorial). I have a huge soft spot for log cabin blocks, so I quickly made 2 of them to ship off. The blocks were great fun and a way to go through my scrap bin. I got a bit out of order when I was piecing this one, oops! I also did not resist adding in the Navy Riley Blake Rocket Age print featuring that spaceship. I just love it so much, and I hope these blocks will work well for the vision of this quilt. 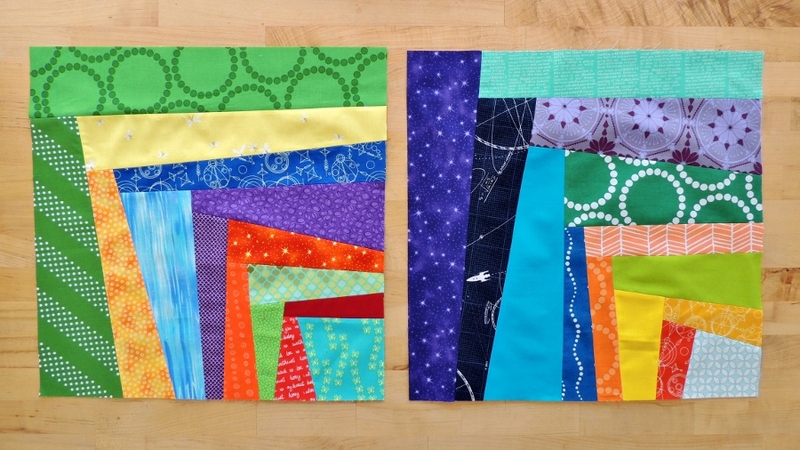 Love the fabrics – will be one fun quilt when its done if the others blocks are anything like yours! These are fun blocks! I love log cabins, and wonky ones are so fun to make. I can’t wait to see your photos from todays shoot! I’m sure they will be amazing. I love wild flowers and hope they are blooming for your day! Great Block!!! I recognize some of your scraps from your previous projects–another idea for my scraps bucket list. I saw the tutorial for her blocks–sew much fun! She will have a great quilt. These look like such fun to make! And great use of scraps, I love using up scraps! Good Morning Yvonne! 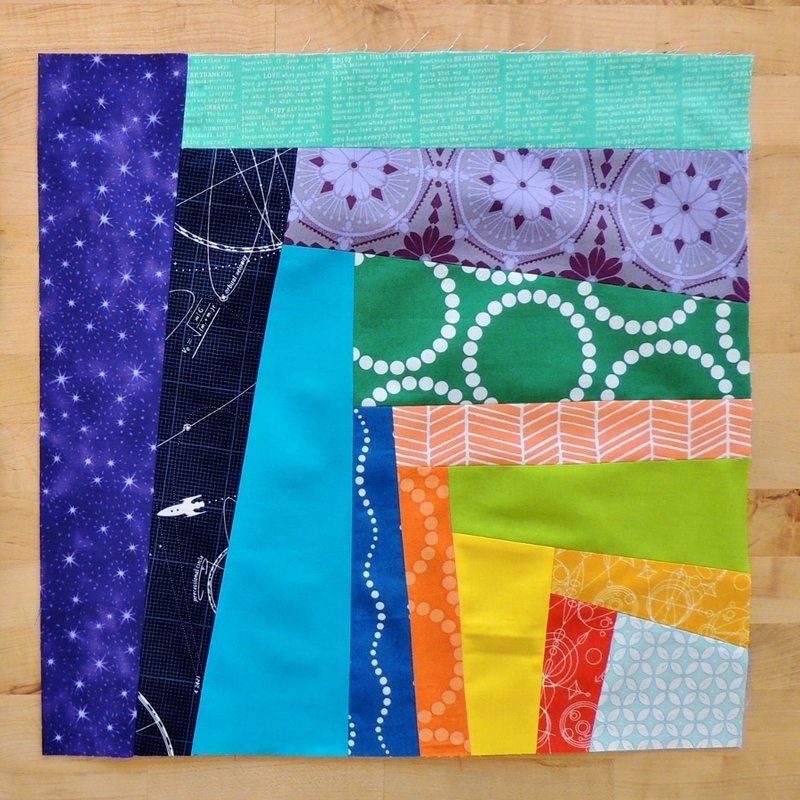 Your fabric choices for the Wonky Log Cabin block are great. I do not remember ever making this block, but it sure would be a great stash buster and I need about 3 dozen of those. LOL. Have a wonderful quiet drive looking at the wild flowers. My Daffodils are in full bloom in front of the house right now and I love to watch them when a breeze gently catches them and they dance. Just so peaceful. Thanks for sharing and have a fantastic creative day! These are great fabrics and I think the quilt will be beautiful and fun. Fun blocks for sure. Hope you enjoyed the spring flowers. Love your blocks. I’ve actually had this block on my list for awhile now but no specific project in mind yet. Love your blocks! Looks like a really fun quilt. Such a cute way to use the scraps.. I love wonky log cabins. I need to try this soon. Yours are great! I think I like these wonky better than straight. Love it! Great blocks in those fun colours. I think this could be a gorgeous quilt at the end.